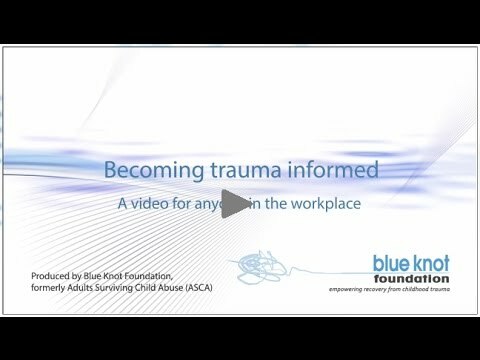 “Becoming trauma informed” is a video for anyone working in a service setting, including all staff and volunteers, of the possibility of trauma in the people accessing their service. Being trauma-informed helps not only the person accessing a service and the person delivering it but also the service culture itself. Being trauma-informed’ is a win-win for all; this video will show you how.